There has been quite a lot of information about the next-gen, G80 BMW M3 lately. We’ve personally heard some info from a source inside BMW, info about its all-wheel drive option and manual gearbox. Now, though, we’re hearing some more info, this time from Autocar. According to this new report from Autocar, it’s said that, for this next-generation of M3, BMW has its horsepower sights set on the current M3 CS. So the Bavarians want the next M3 to be more powerful than that car. 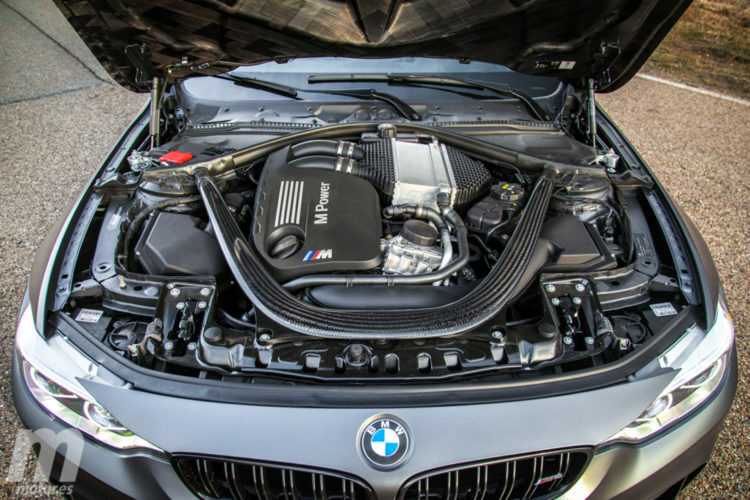 We don’t see that being a big deal, though, as BMW can make close to 500 hp with this current S55 engine, no problem. However, it’s also being said again that BMW might be using water-injection to do so. Now, we don’t know this for sure, but it’s what Autocar is saying. Personally, we don’t like the move to water-injection. It’s overly complicated and seems like an unnecessary solution to a problem that doesn’t really exist. The next-gen BMW M3 will use the brand’s new S58 engine, an M-ified variation of the current B58 engine, which will also be used in the X3 M.
That new engine can easily make 450-plus hp without any sort of water injection. There’s no way BMW can’t push 475-500 hp without getting temperatures so high it needs water-injection. Still, if that’s the route BMW goes, it should make close to the 493 hp of the BMW M4 GTS. However, it must be said that, while Autocar claims otherwise, we know for certain that the new BMW M3 will have an all-wheel drive option. The next-gen BMW M3 is sure to be a shocker. It’s going to be the first all-wheel drive M3 ever, could use water-injection as-standard equipment for the first time ever and will certainly be the fastest M3 ever. So we’re excited to see how it pans out.